After about 4 months of preview, Microsoft Office 2016 for Mac is finally available for download today. At the moment, it is only available for Office 365 subscribers, but it might change in the near future if Microsoft decide to sell it as non-subscription software. Since I have Office 365 subscription, I can immediately download the 1 GB installation package and start using the new version. If you have Office 2011 installed in your Mac right now, you have the option to uninstall it first before installing Office 2016, or to have both of them installed. I choose to remove the old version to save some space in my internal drive. Uninstalling Microsoft Office 2011 from our Mac turned out to be more difficult than just dragging the Office applications into Trash icon. There are tons of other files in various locations that need to be deleted to remove the installation completely. This official guide from Microsoft might be useful for you. I have used Microsoft Office 2016 (Mac) for few hours and so far I am very impressed. Not just interface change, this new Office is built on a complete code rewrite, from the legacy (Carbon) codebase to the more modern Cocoa framework. 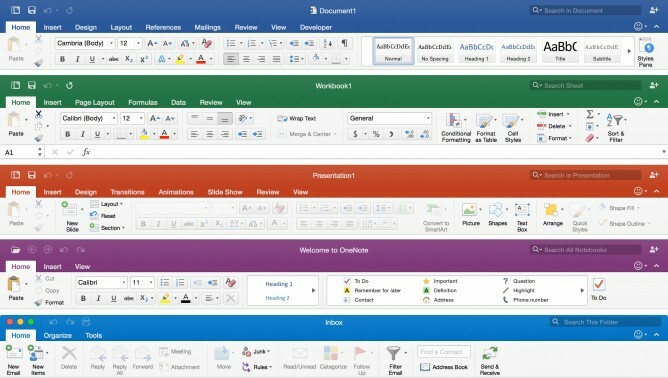 This is how Microsoft Office for Mac is supposed to be since years ago. A very late fix, yet it is still better than never. Now Mac computers will have Microsoft Office with consistent look and feel with other platforms. Since I also use Microsoft Office in Windows, in iPhone, in iPad and in Android devices, this finally make my user experience seamless. So far, I have only tried Microsoft Word and Microsoft Office and they are both very stable. The first loading time was a bit slow, but then it opens the following files almost instantly. I still won’t use Outlook because I am always more comfortable with web-based interface email in my desktop computers. My only issue with this new version is the absence of Mendeley plugin to deal with my academic library. However, this is not Microsoft’s fault and Mendeley has officially mentioned that they are working on the new plugin version for Office 2016. So I just need to be patient.